Arriving on DirecTV tomorrow ahead of its theatrical premiere next month is the political thriller with the cool name, Backstabbing for Beginners. The film stars Theo James, Ben Kingsley, and Jacqueline Bisset, based on the memoir by Michael Soussan about the corruption in the Oil-for-Food Programme set up by the United Nations. James, who has been keeping a low profile since 2016's Allegiant and Underworld: Blood Wars, plays an idealistic U.N. employee hoping to do some good in the world. Instead he uncovers a vast global conspiracy, investigates the murder of his mentor, and deals with a corrupt boss that you knew just had to be played by Kingsley. "You and me, kid, we can save the world," Kingsley says in the new trailer. "Trust me." That's one of those things that can sound really nice or really menacing depending on who says it. If it comes from a Ben Kingsley character it's probably not such a good thing. 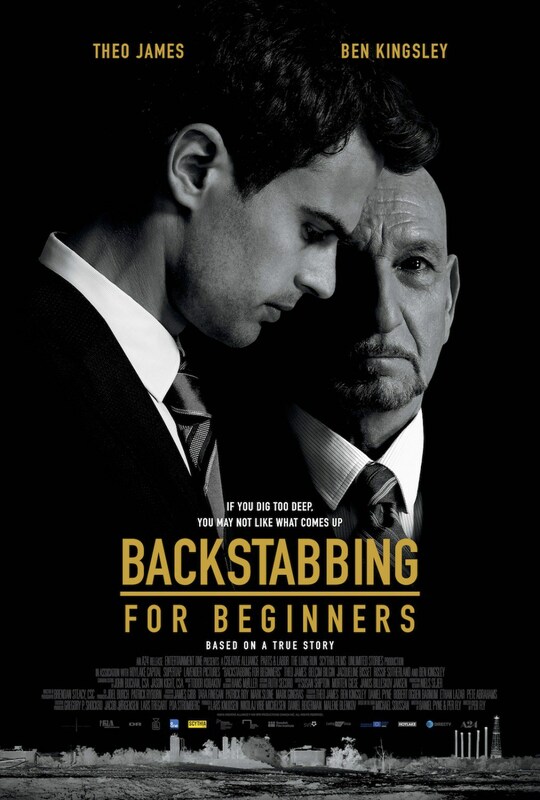 Directed by Danish filmmaker Per Fly from a script by The Manchurian Candidate's Daniel Pyne, Backstabbing for Beginners hits theaters and VOD on April 27th, preceded by DirecTV on March 22nd.